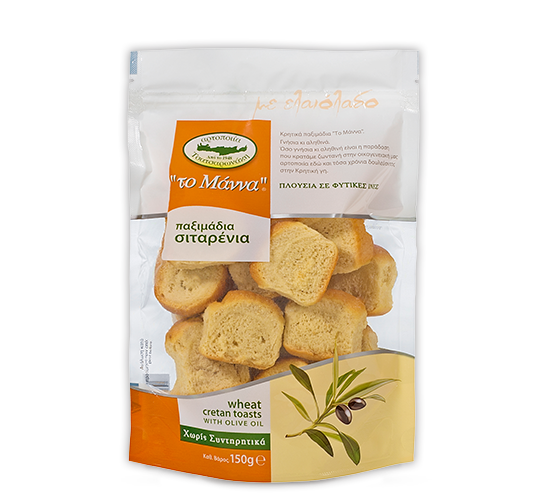 They are made with olive oil (5%) and therefore have a high content of beneficial fatty acids (monounsaturated). Fluffy and crisp texture, they are rich in fibre and are provide a healthy, tasty and highly nutritious snack perfect for any time of the day. The fullness of their taste, due to the olive oil they contain, makes them ideal for consuming on their own at any time during the day or as an accompaniment to other ingredients.